I've been playing golf since 1997. I moved to Bangkok 7 months ago and decided I wanted to improve my game significantly. My handicap was in the 16-18 range, the best it had ever been, but I wanted to play more consistently. A friend introduced me to André and I've had about 20 lessons with him. He diagnosed my faults - everything from my stance, alignment, grip, and swing - pretty quickly and we got to work. Thanks André for coaching me, encouraging me, and being a good mate to boot. I'm enjoying golf so much more now. 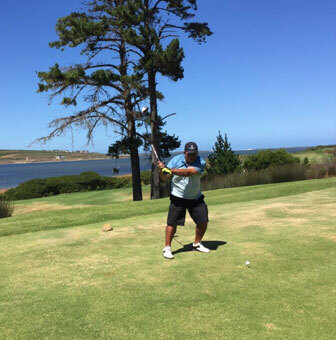 I began attempting to play golf just under two years ago, having never touched a club before in my life. 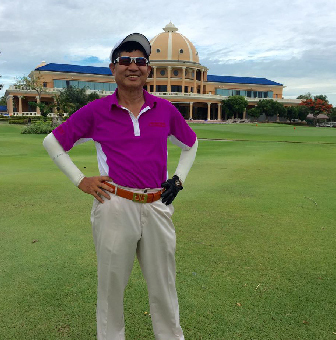 After trying a few other coaches in Bangkok, and developing some atrocious habits in between lessons, I found Andre through the Shane Wilding Golf Centers. Almost immediately Andre easily identified all that was wrong with my swing and began getting results almost right away. His affable methods went far beyond simply getting my approach, stance and swing in the right place. His diligence and patience resulted in my maturing passion for the game of golf. No matter where I saw Andre, on the course, in the street, or in the studio he would leave me as a better golfer than he found me. I walked out of each session with a new tool, and improved technique. He has added distance to every club I use, but more importantly, he’s coached me to the point where I’m relaxed enough to enjoy my time on the course every time I play. Sun P. Age 19 Handicap +1 scores between 68-74 best score 66. His goal is Asian Tour/ US Tour. Before lessons with Phil Sun had a big draw and problems with distance control. 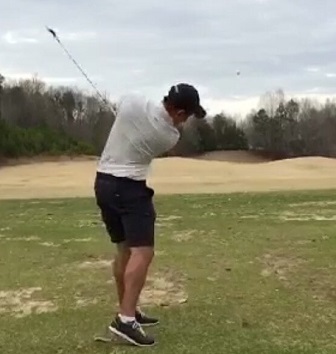 After just 6 lessons Sun hits the ball with a very small draw, he also hits it higher and further ! “My ultimate goal is to play golf at an elite professional level and Phil has definitely enhanced me toward that goal. Since starting my lessons with Phil he was able to pin point immediately my faults & offer a correction to my swing. I have fully committed to every step and correction that Phil shows me to achieve my goal. My results already show that it pays off ! During my lessons with Phil he would suggest something for me to improve on every aspect of my golf from the technical to mental and physical side, this helps my golf swing become more consistence and efficient. On the golf course he would point out my weaknesses and we would be able to fix it quickly together due to the lessons. 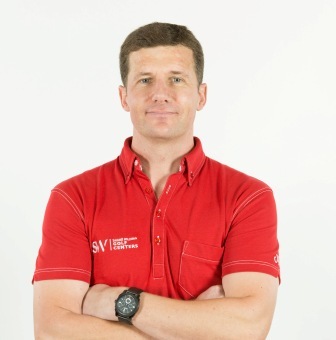 Phil has the knowledge and experience with his students to help unlock their potential, I highly recommend Phil ! " It is very clear to see improvement after learning with Phil. We started with an analysis of numbers -ball speed, distance and curvature from target line due to side spin. Then through video analysis see how to improve those numbers. How happy a golfer I can be, for better speed, longer drives and less curve on the ball. These numbers bring down ultimately the most important numbers "score" ! Just recently started my lessons with Phil and I had a great experience. He was able to find my faults within a few minutes !!! and systematically had me working on them immediately. The results were amazing, in just one lesson he fixed my swing and gave me the insight and understanding into the technique necessary to hit longer and straighter than before! 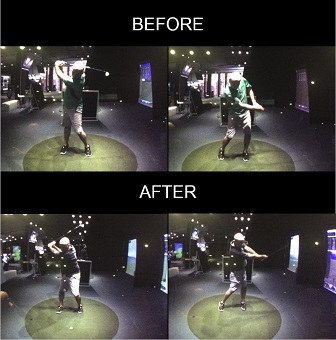 I've now had my second lesson, I understand my swing even better now, great results again! I know my game is definitely improving and I can’t wait for my next lesson with Phil. Highly recommended!! Phillip introduced me to the game of golf. Due to his patience, motivation, humour and great skill he taught me within a short time to love the game too. I feel so fortunate to have him as my golf pro and can fully recommend him to any golf player, be it from a beginner to a good player looking to kick a bad habit or improve their game. I've started playing golf while most of my golfer friends have already played over 20 years before me. I had basic problems like many other beginners such as chicken wings, steep and fading etc. On my first lesson with Shan Wilding, my problems were identified and I was told it would overcome bit by bit. Shane has coached me step by step, patiently as promised. I've felt relax and enjoyable learning with him. Until now Shane has solved many problems I had in the past, now I have much more confidence in my swing and able to compete with my friends who has much more experience. I do enjoy playing golf much more now. Even though Shane has to look after many of his students in USA , Asian and local tournaments but I feel good that he pays attention and focusing on me every lesson we have. Thank you Shane Wilding, a world best golf teacher spends his experiences developing the local and expatriates in Bangkok with the modern method and the most modern simulator system. My daughter Linna started to play golf when she was 8 years old. 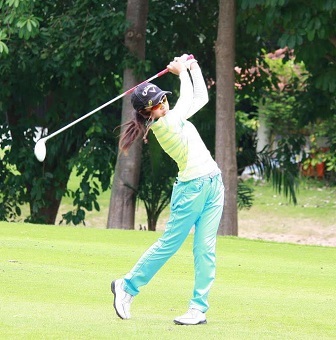 She gets great enjoyment from the game and dreams of being a professional golfer in the future. 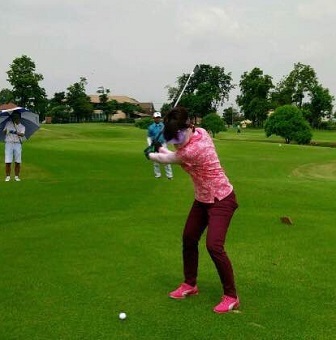 She started to attend tournaments but found it difficult to compete with other children in her age group and lost her confidence and her scores reflected this. Then we read about the amazing results that Head coach Matt Wiltshire gets at Shane Wilding Golf, so we started to work with him weekly around 10months ago. Coach Matt changed her swing from the beginning and make it very simple to understand. Only after just a few weeks my daughter had fixed most of her swing faults and had a big change of feeling with her swing. Linnas confidence returned and she was able to smash her previous best score by 7 shots and hit the ball a lot further enabling her to be competitive in her tournaments. We are luckily that we found coach Matt and can really see what an amazing change he has done with Linna's game. Thanks coach Matt we are so excited to continue all the great work that we have achieved so far.